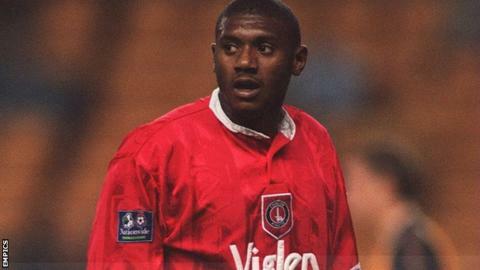 Former Charlton Athletic striker David Whyte has died at the age of 43. Whyte scored 35 goals in 106 appearances for the Addicks between 1992 and 1997. Whyte began his career at Greenwich Borough and also had spells at Crystal Palace, Ipswich Town, Bristol Rovers and Southend United. "Charlton have been extremely saddened to learn of the death of popular former player David Whyte, who passed away on Tuesday, " a club statement said. "The thoughts of everyone at the club are with David's family and friends at this difficult time." Former Charlton team-mate Garry Nelson paid tribute to Whyte on social media, tweeting: "Just heard the terrible news about my former strike partner! A sublime talent at his best! #RIPDW"